It is not an exaggeration to say that the amateur gardener, if not marveling over vegetable beds, is most often focused on the size, shape, color and duration of flowers. 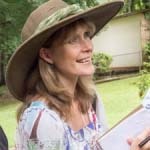 Unless you’ve had a flashy designer come in and introduce you to the wonderful world of foliage over a particularly painful check-writing session, you may not have any idea of the incredible variety of colors, textures and just plain pizzazz that is available to the gardening artist. 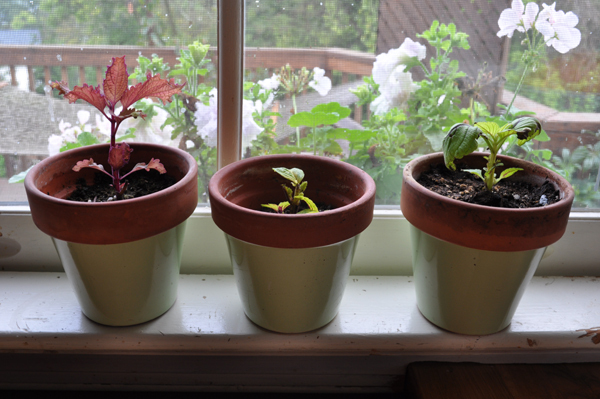 Euphorbia, Acuba, Miscanthus, Gunnera – we’ll save some of those brush strokes for another day – right now I’d like to talk to you about a gardener’s first foliage adventure – Coleus. It’s a bit of a misnomer actually. 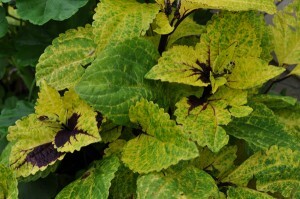 Those varigated leaves and bright colors that have sat side by side with flats of pansies and petunias at your local big box retailer are actually Solenostemon (having been re-classified there or with their Plecanthrus cousins) and ‘Coleus’ has been demoted to a common name used by nurserymen and amateurs alike. Never mind, let the botanists and plant-geeks ruminate over that detail, we’ve got foliage to discuss. The world that is coleus is much bigger than the average consumer would think – but then I find that the average consumer will insist on visiting home improvement warehouses instead of a decent nursery. When Joe and Jane Gardener skip down those wide aisles in May, merrily filling their cart with purple petunias and coral impatiens, they are likely to have no other introduction to coleus than the taste of “Wizard Mix” which encompasses a few different varieties sporting pink on scarlet, yellow on green, and yawn on yawn. No wonder Joe & Jane load up on marigolds, buy a token hosta and call it a day. What a shame, for there is so much more out there for the gardener hungry for a bit of low maintenance all-season color. Coleus can be germinated from seed – and I have had much success with cultivars such as “Limelight” and “Pineapple” – but it is overall a vegetatively propagated plant. Consequently, a lot of cultivars you might want to get your greedy hands on will warrant a trip to a real nursery, with real plantspeople and (gulp) real prices. But don’t despair. Once you’ve secured the object(s) of your desire, it is probably the world’s easiest plant to root and propagate for years to come. A small tip cutting will quickly grow water roots if put into a bud vase for a few days, and grows rapidly once transplanted. It is this very fact that once had me wavering off the straight and narrow to dabble in a life of crime. About eight years ago I was trekking through Busch Gardens like an American tourist on an eight day package holiday. I believe we had just turned the corner into Ireland, when there in front of my eyes was a half barrel filled with gorgeous green leaves sporting deep purple veining. It was my first real taste of anything in the coleus department beyond ‘Wizard Mix’ and this plant (or plants) radiated vitality on a grand scale. I had to have it. 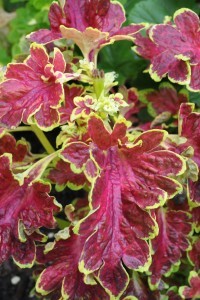 Coleus benefit from constant pinching, which promotes lateral growth and makes a bushier plant. I think we both know where this is going: straight to a well-reasoned justification for tip pruning two very nice starts, popping them into a water bottle and waiting for Homeland Security to arrest me in front of my children. Thankfully it never happened, and each year thereafter I have grown this beauty, taken cuttings for the winter, and searched umpteen databases for name, rank and serial number. Last year I found it – “Gay’s Delight” – which means that if I ever lose my winter cuttings to fungus or my summer plants to heat, I can acquire it again – this time respectably. I prefer to use coleus as a container plant, though I have seen some of the taller varieties working well in the garden proper. They prefer a part-shade environment and will often bleach out when put in full sun. Some gardeners may enjoy this effect – but I prefer the richness of color gained from a bit of shade. 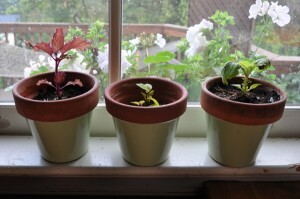 I suppose the thing I love most about coleus is the fact that they make me look great. If I pick a fun cultivar, give it a sheltered spot, an adequate amount of moisture and tip prune it fairly regularly, the chances are I’ll have a prize “what on earth is that?” when the rest of the garden is looking dull in September and I’ve started thinking about selling out and buying some foil wrapped Mums for color. But one last thing: don’t forget to take cuttings or bring your plant inside before the first frost hits. Coleus is as sensitive to cold fingers as basil, and all it takes is one night of Jack Frost fondling them on your patio to bring you back to square one – coleus-less and looking furtively at an amusement park beauty in June.